Metal art from upcycled oil drum. 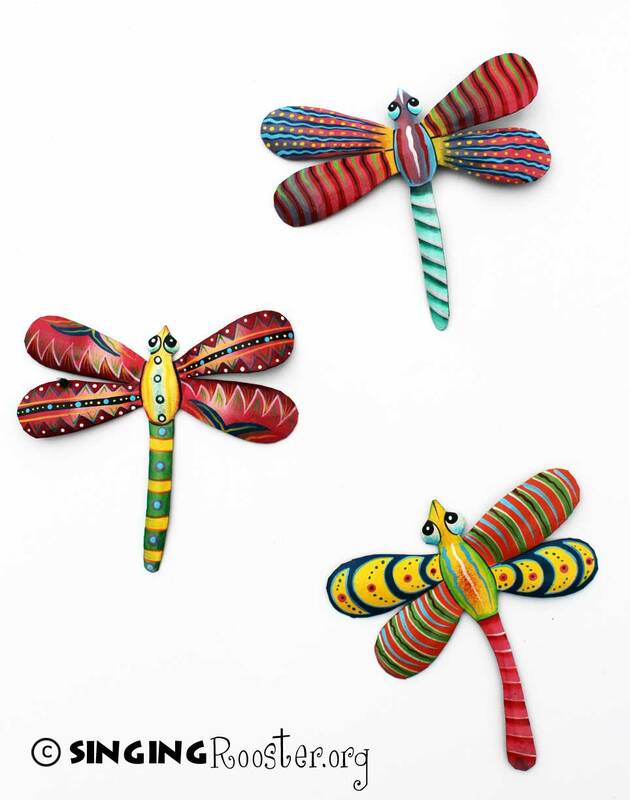 Whimsical colors make the enchanted Haitian dragon fly come to life. Inspire your inner child by hanging several on any wall. Hook on back. Ship flat – carefully bend wings & tail for a 3-D effect.